Rhiannon ifans writes about Dwynwen, the Welsh patron saint of lovers. Dwynwen is the Welsh patron saint of lovers and her saint day is celebrated on 25 January. Dafydd ap Gwilym described her as a master of easing the sorrows of distressed adolescents and he asked for her assistance to win over his love, Morfudd. Dwynwen was one of the historic women of the fifth century, and she made her home on the island of Llanddwyn in Anglesey. According to the tale, Dwynwen prays to God following the advances of her lover, Maelon Dafodrull, and is provided with a potion that releases her from her love for him; Maelon turns into a lump of ice as a result of the potion. Dwynwen then receives three wishes: that Maelon is released, that she is inaugurated as the saint for lovers, and that she remain unmarried for the rest of her life. 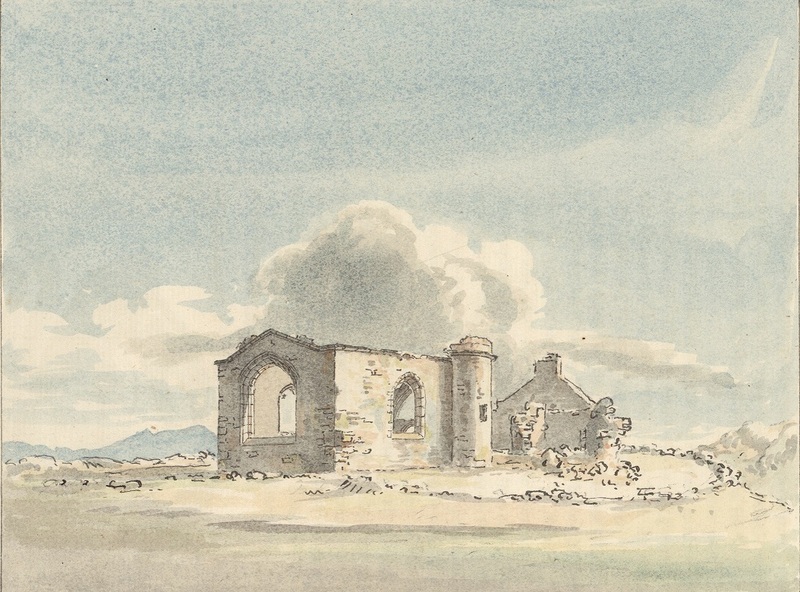 Remains of St Dwynwen's Chapel, Llanddwyn, by Geoff Charles (1 June 1948). 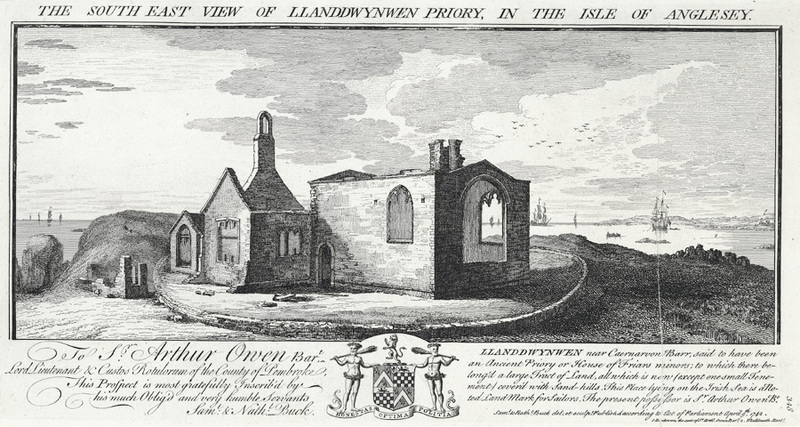 Ruins of St Dwynwen's Church, Llanddwyn, c.1778 taken from Thomas Pennant's 'A Tour in Wales' (1781). Dwynwen became famous for her ability to solve the problems of lovers, and also for her healing powers. Sometimes she would perform small miracles from afar, especially in the case of poorly babies or small children, and it is said that she resurrected several people who appeared to be dead. 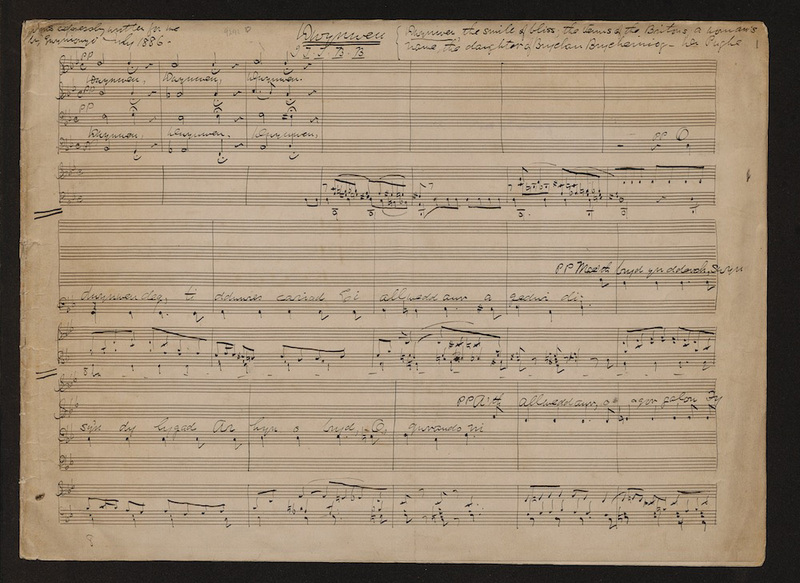 The poet Dafydd Trefor said of her, ‘Iechyd a golud a gaid / Synnwyr a hawsáu enaid’ (roughly translated as ‘Health and riches are obtained / Wisdom and relief of the soul’), implying that physical well-being, wealth, wisdom and tranquility of the soul were all available through the hands of Dwynwen. There are remains of Dwynwen’s cult in Tresilian, Vale of Glamorgan, where lovers used to determine their fate by throwing a stone over the natural archway in the rock. 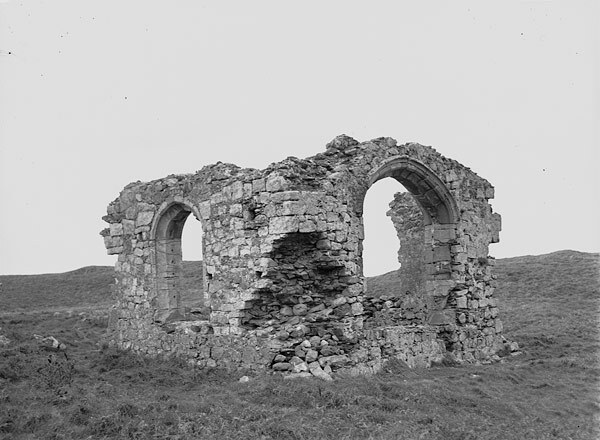 A church is consecrated to Dwynwen near Camelford in Cornwall, and it is possible that there was also a cult to her in Brittany (under the name of Saint Douine or Twine) where she was famous for healing every fever. Guest blog by Rhiannon Ifans, author and expert on medieval Welsh literature.